Not only will this Laced Leather Sword Frog allow you to hang your sword at your side within easy reach, but it will also serve you well as an accent, one that will subtly enhance your look and style while fulfilling a vital role in your armed ensemble! This fine frog is crafted entirely in quality leather right here in the United States. It features a generous tube for holding whatever weapons you might prefer, as well as a belt loop that fits most belts with ease - up to a 3.75 inch wide belt. A touch of leather lacing along the mouth of the frog also offers it a more distinctive style. 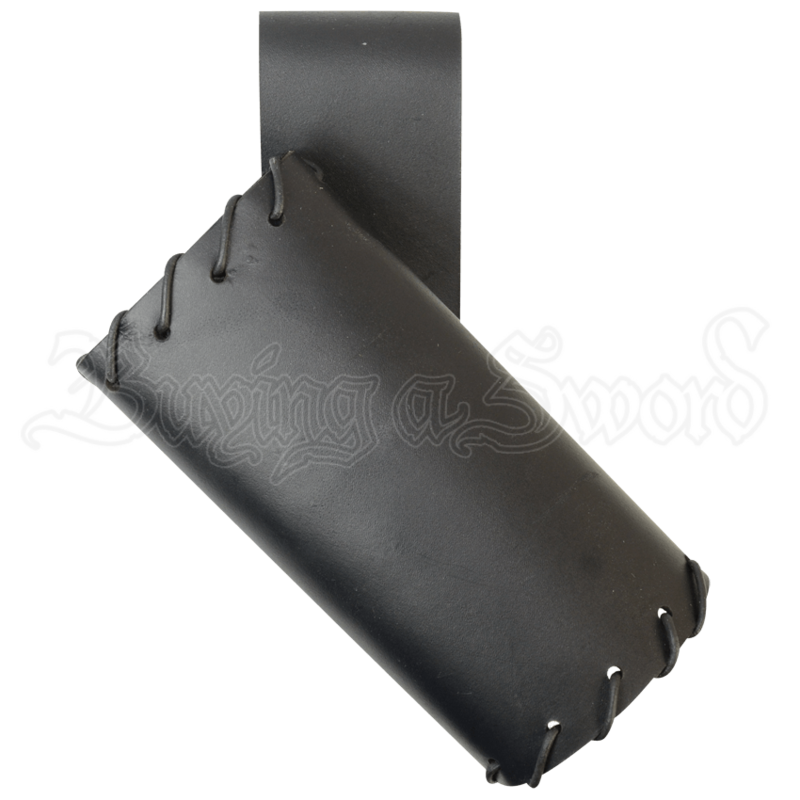 Worn on your belt, this Laced Leather Sword Frog is a must-have accent that not only enhances your appearance but also ensures that your weapons are never far from hand or slow to draw!